How to Say Queen in Japanese – Learn it Now! Do you fancy yourself as royalty? 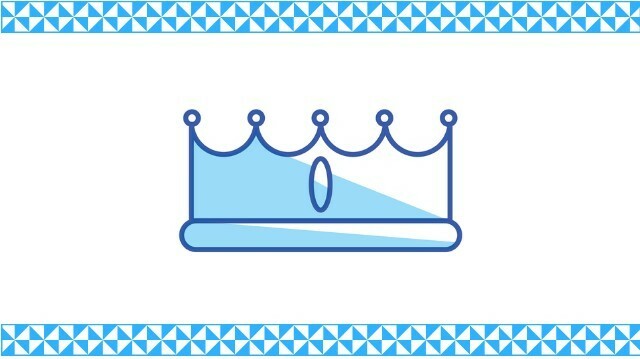 Would you like to wear a crown and rule a queendom? Well if you want to do all of that, and also learn Japanese, then you’ll need to know how to say queen in Japanese. I’ll go over that today with several different words that you can select from depending on the situation that you find yourself in. And also, I’d like to share a little bit about Japan’s history with a ruling queen at the end of this article. Let’s get started by seeing the basic word for queen in Japanese, and then go over an example sentence that shows one way on how it’s used. The Japanese word for queen is 女王 which is spelled in hiragana as じょおう and Rōmaji as “jo-ō” which probably sounds a little weird in your head when you’re just reading it. I mean, it’s like three “o’s” worth of vowels, right? Do you just hold on to them forever? Luckily there is something that can help us to pronounce this word correctly and remember it better too. I’m talking about the word’s particular pitch accent. There’s also the fantastic resource forvo.com which has several native recordings of this word, so that you can listen to it and learn the correct pronunciation from listening. From the BBC, News Japan. I think the in today’s modern age, you will most likely see the word 女王 used to refer to the Queen of England, or in a fantasy novel that you might be reading. There is also the English loan word クイーン that you will see sometimes, but it is more often used when referring to the band Queen, and not so much a female ruler of an independent state. You might also see it used in the name of something, for example the name of the ship The Queen Mary would be translated into Japanese as クイーンメリー. There is also the word 王妃「おうひ」which can mean “queen” in Japanese, but the difference in nuance isn’t really apparent at first when you just look up the English translation. Now this translates as “a kings wife” which means that a better translation of 王妃 would be a “Queen consort” which simply means that she has the same rank and designation as her husband, but she does not have the same political or military powers. So, probably you want to be a 女王 more than a 王妃 if you’re intending to run the country. Something that’s interesting is the word きさき that is used in the second definition. This word has a kanji, which is 后, and it translates as “empress” in English. The second one places the emphasis on the fact that she is a Japanese empress or queen, as opposed to one from an outside country, which could use the first word above. I thought it would be cool to just throw in a couple bug queens into the mix since they aren’t all that uncommon in English, and you might run into them in Japanese at some point. And if I remember correctly, there actually is a manga titled 女王蟻 that you can buy off of Amazon, but I’ve never read it myself (only head of it) so I don’t really know if it’s any good or not. I know Yotsuba is pretty good, if you’re looking for a recommendation. Did Japan Ever Have A Ruling Queen? So I did a little research, and as it turns out there is kind of some controversy on if Japan ever really had a queen, but there are a lot of records that say “yes, Japan had a queen” at some point in time. Actually it was way back. Way, waaaaay back in time! Like around 200 AD! Her name was Himiko 卑弥呼 and she was a shaman Queen that ruled ancient Japan. It’s noted that she never married, but her little brother helped her run the place when she needed it. Little brothers, you gotta’ boss ’em around. Amirite!? It’s also said that she had 1,000 women attendants, but only one dude attendant during her time as ruler. I’m not sure how I would feel about that… Joy? Fear? Anyway, she was chosen to rule after the country had gone through a lot of strife as the people wanted something different from their previous ruler who was a guy. Sorry for those of you who are Japanese historians, as I am probably butchering this story, but give me a break as I am just telling it like I remember reading about it! If you know of any interesting fact on Japan’s queen, then let me know down in the comments section. I’d be interested to hear more about this topic. I love this site! Even though I don’t know much about the culture or how to say these words that look like symbols, your post is fascinating. I never knew that Japan had a Queen at one time in history. I would like to know what happened? Why has Japan never had another Queen after her? This offers great insight into history. I love learning about humans, cultures, and times. Listen to the Japanese word for Queen. I’m not really sure why Japan never had another queen after Himiko. I think that probably, like most countries in the world’s history, men took the positions of power since they were typically more violent and had greater physical prowess. But that’s really just a guess.